Who doesn't love something with chalkboard? 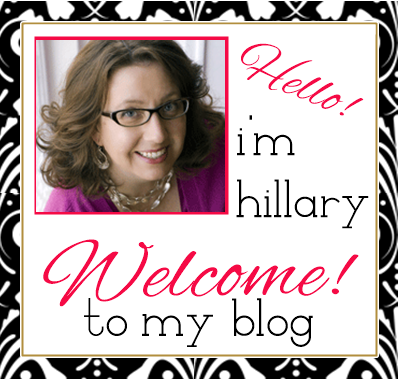 It's all the rage in decor and crafting right now, and I admit to falling victim. 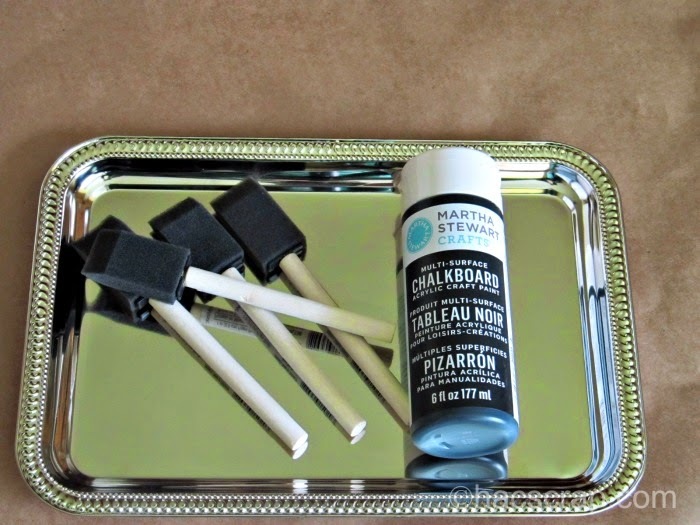 A while ago, I came across the most adorable silver tray, painted with chalkboard paint on Pinterest, and I thought "how can I make a chalkboard tray?" Well, that pin sat in my mind for a long time, poking at me to try and re-create it myself. I scoured local thrift stores for silver trays, never willing to commit, afraid of messing it up. The biggest hindrance to my crafting is my fear of messing it up. Does that ever happen to you? In a stroke of brilliance - ok totally random and accidentally, I found out the DOLLAR STORE has silver-looking plastic trays. These would be perfect! Here's how you can make one of these darling trays for yourself (for under $3) - perfect for a Menu Planner, Party, or gift. Tape off the edges of your tray - the corners were tricky, so take your time. 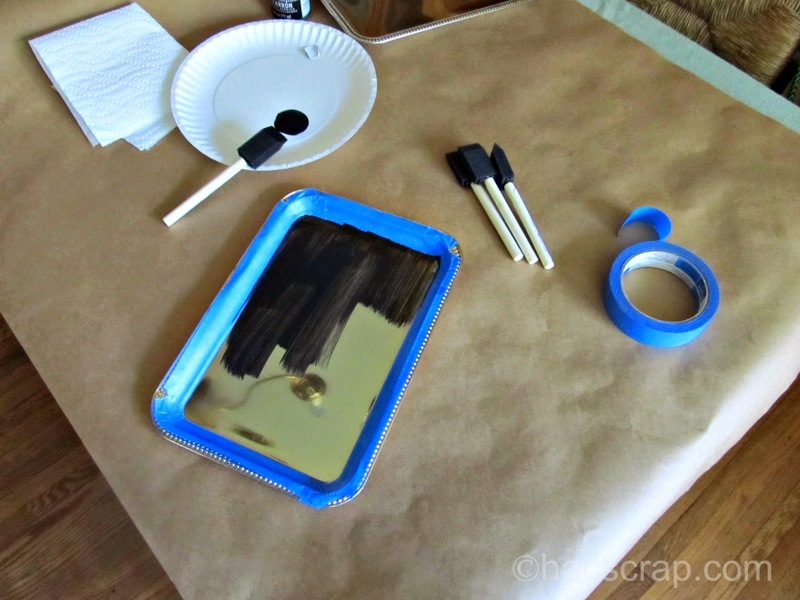 Paint the flat part of your tray with the chalkboard paint. Pay attention to your strokes and thickness of the paint. Let it dry the recommended amount of time. Add a second coat, paying attention to stroke lines and paint thickness again. Let it dry overnight - or as directions advise. 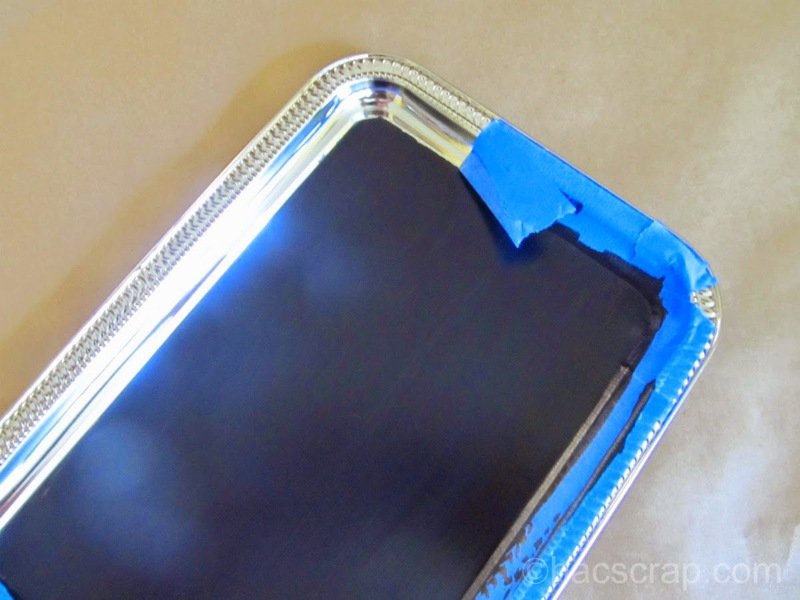 After it dries, carefully remove the painter's tape. 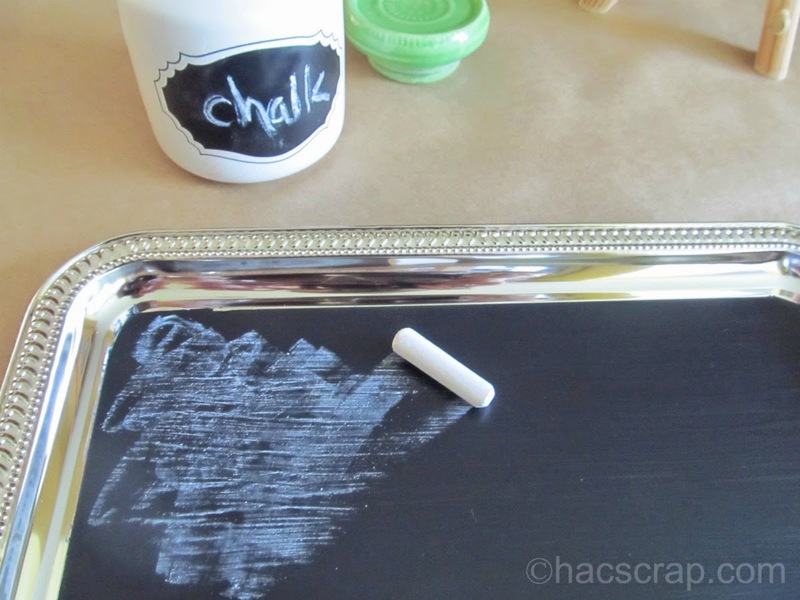 Cure the chalkboard by lightly rubbing chalk over it and erasing. Go lightly to avoid scratches. Now it's ready to use - I turned it vertically and placed it on a small easel I have. You could add a bow to the top with a hot glue gun, or even a small hook on the back to hang it up. The more I thought about it, the more uses I came up - it would make an adorable cheese tray - you could write the names of the cheese right on it! How would you use one of these chalkboard trays? So cute! Looking to make something like this. I love chalkboard paint. I have a chalkboard wall in the basement and the knobs on the boys' dresser are chalkboard as well. I have been wanting to do something forever Heather - I finally did with great results!! This looks simple but classy. Adding it to my DIY list! Thanks Sheila - you really can't tell it's a Dollar Store Tray unless you pick it up - even then . . .lol Let me know if you make one - I want to see it!! This has been on my list of things to do. I AM doing it this weekend. Can't wait to see it - make sure you share! So, so, so, so cute. I love it! 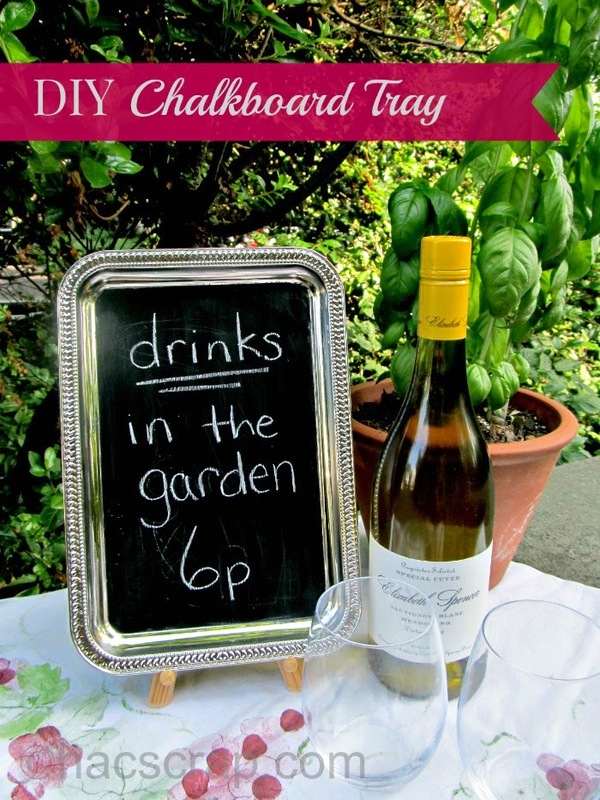 This is so fun, my husband loves to play with chalkboard paint, I might have to pass this on to him. WOW Julia - how lucky are you??! I wish my husband liked to craft! 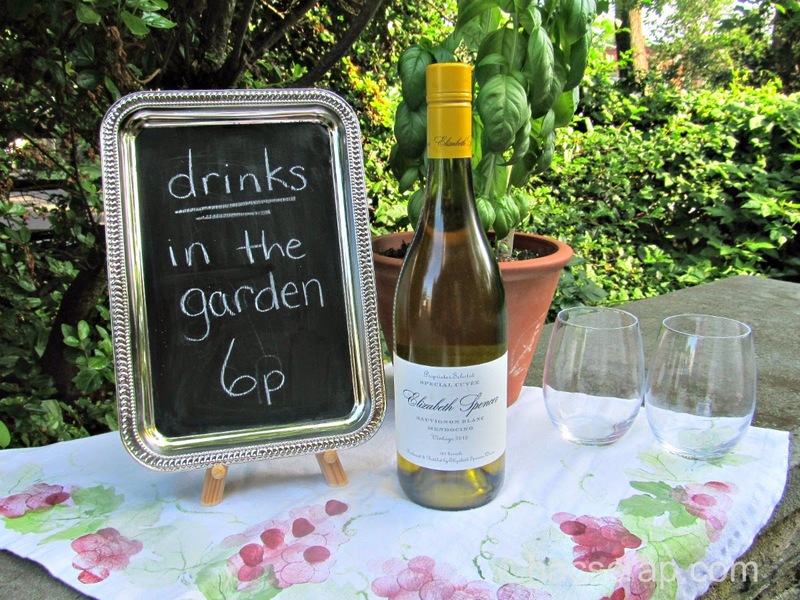 Love how classy this simple idea looks and IS! 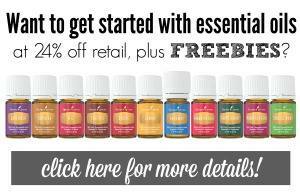 Thank you Mary Ellen - please let me know if you try it for yourself!! 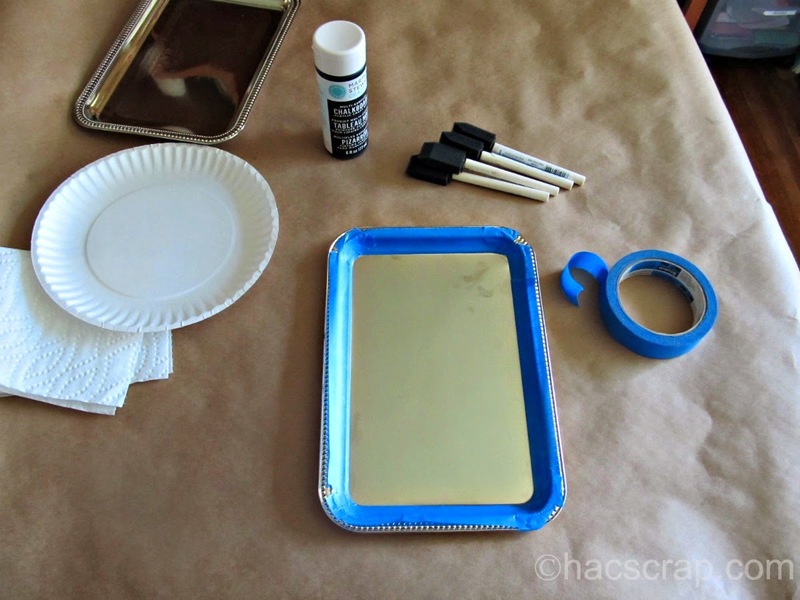 I love that I am searching for how to make a chalkboard and up comes your tutorial! So cute! This would be great for wedding table numbers.